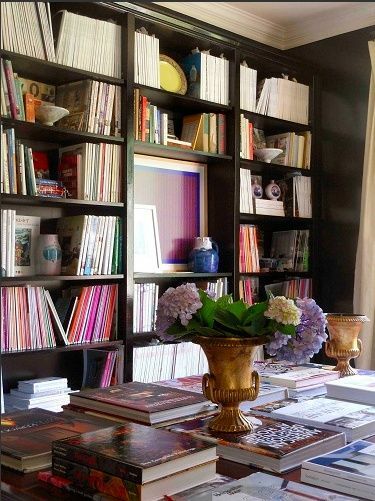 My very first Home Style post, seen here, featured a beautiful display of color coordinated bookshelves in a casual chic living room. I created that post on November 3, 2013. In the year since then, that post has become the single most popular post on my blog. It has traveled all over Pinterest and been picked up by other blogs where it continues to attract attention. 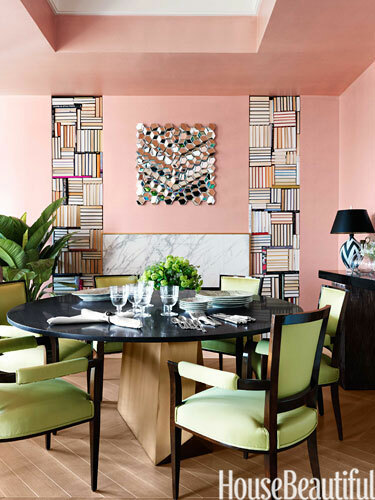 The enthusiasm surrounding those color coordinated bookshelves suggests that, despite the transition to e-books, blogs, and e-zines, our deep-rooted love for actual paper books remains. Personally, I have always been enamored with libraries and the history and possibility contained within. 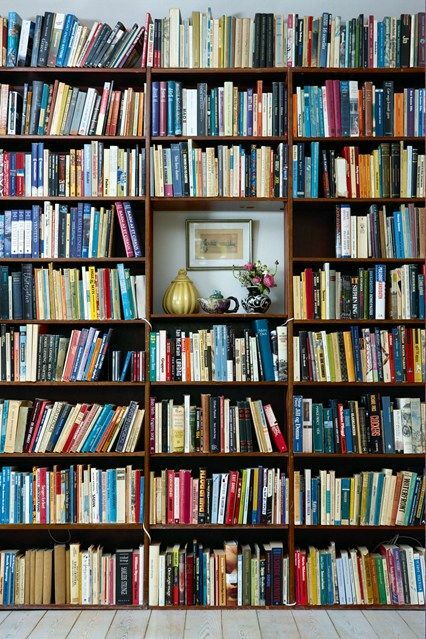 With that in mind, I’m highlighting a few of my favorite bookshelf trends. I’m clearly not the only person who loves this particular trend. 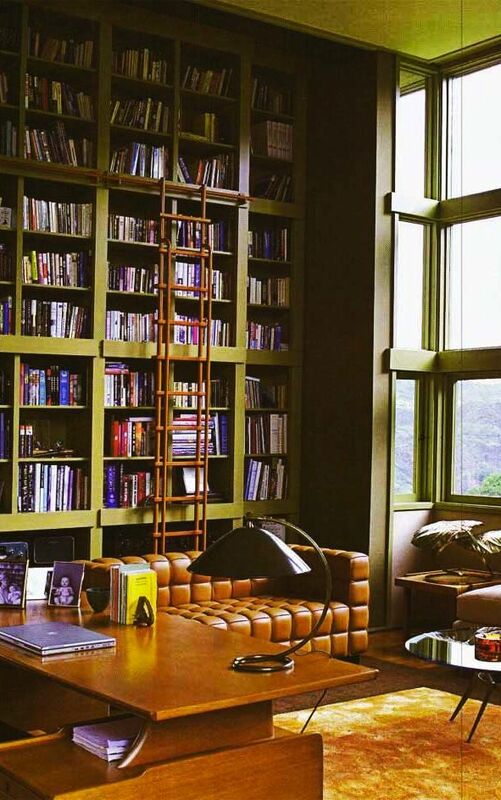 Black or dark bookshelves contrasted by chartreuse sofas and chairs (not just any color – it always seems to be chartreuse) are taking home libraries by storm. 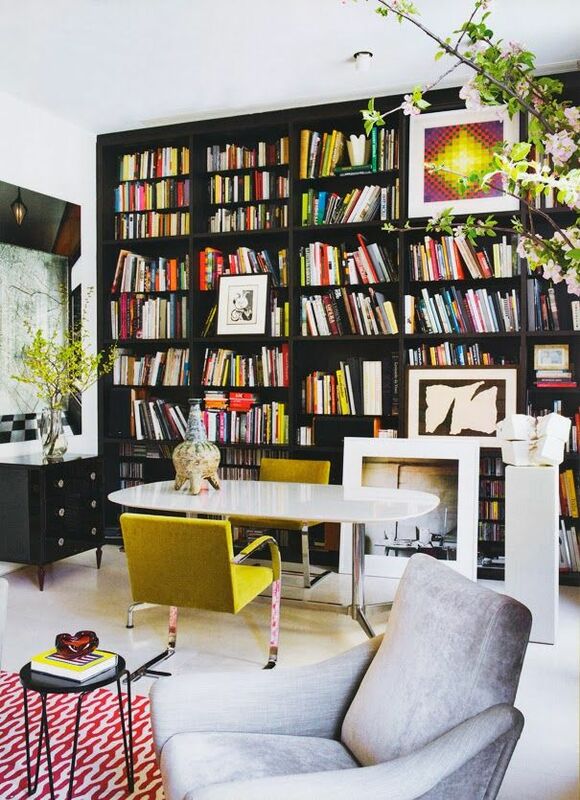 The refinement of dark shelves pays tribute to traditional library style, while the bright furniture jolts the room with energy and modernity. 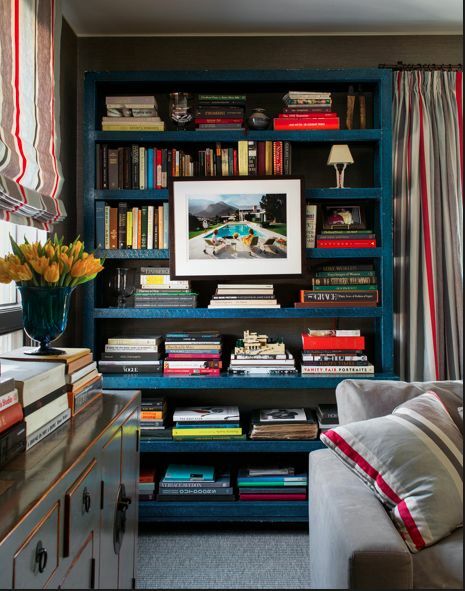 The colorful mix of books pops against the contrast of the dark paint for a look that is far from old-fashioned. Look at the images above and below and you will notice artwork in every one. Framed paintings, prints, and photographs are either inserted into the shelf cubbies themselves, or hung on the front edge of the shelves. The art serves as a visual respite from the continuity of books, allowing your eyes to rest and relax. Do you have less attractive items that you’d like to store on the shelves, but you don’t want to disturb the beauty of the display? Hide them behind the hanging art! That beautiful painting takes on the role of cabinet door, concealing the contents behind it. and this recessed wall of shelves alongside a banquette and stairway. 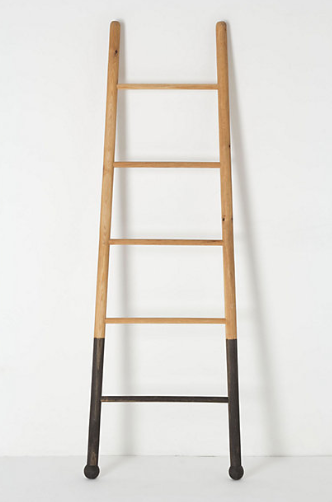 What bookshelf review would be complete without the mention of library ladders!? 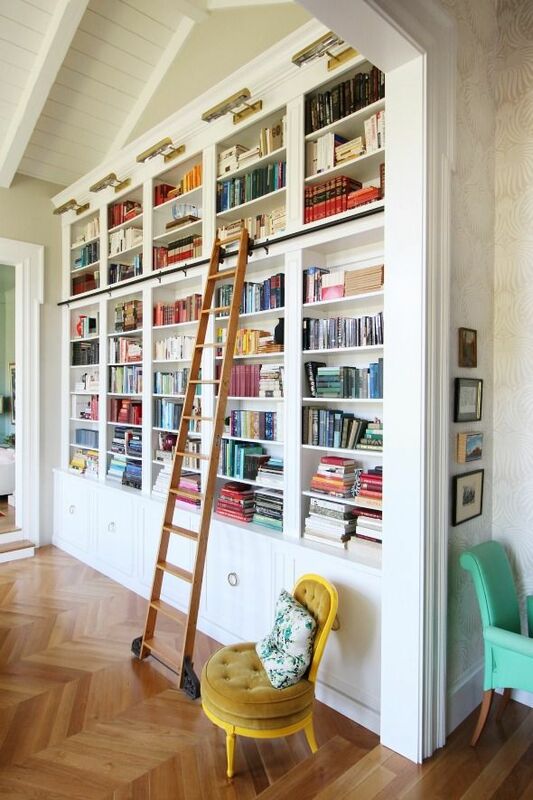 These tall sliding ladders are both beautiful and functional, allowing you to maximize wall space from floor to ceiling and still access books on the highest shelves. 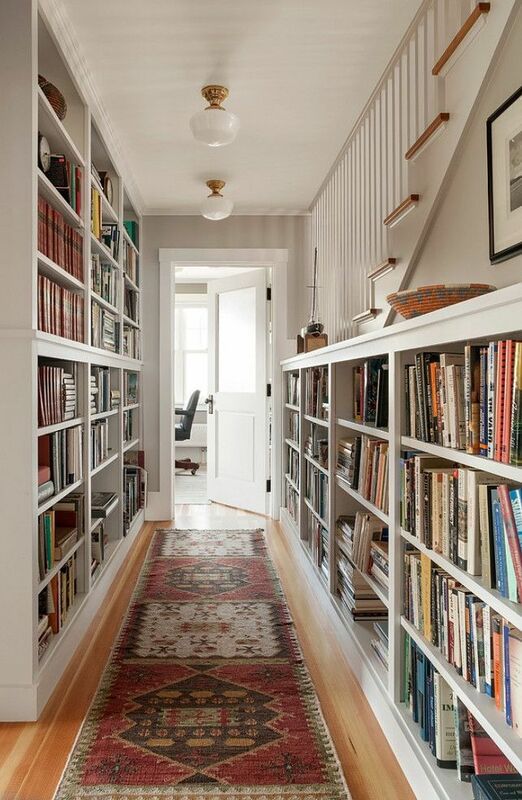 The range of options when designing a home library or simply styling a bookshelf are seemingly endless. It would be impossible to cover them all in one blog post. Built-in, free-standing, metal, wood, low, high, colorfully painted, back-painted, organized for a rainbow effect… One thing is certain: the more we turn towards tablets for our everyday reading, the more valuable our old books become. They are pieces of history: tangible, entertaining, and lovely to look at. Take a moment to imagine traditional architectural details like baseboards, crown moulding, and chair rails. Now stop. Did your mind automatically default to a white paint color? White trim is classic. 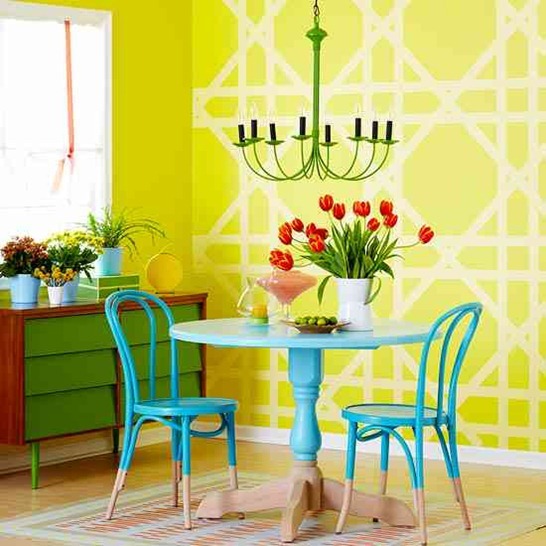 It’s bright, it’s fresh, and it coordinates with every other paint color imaginable. In essence, it’s foolproof. 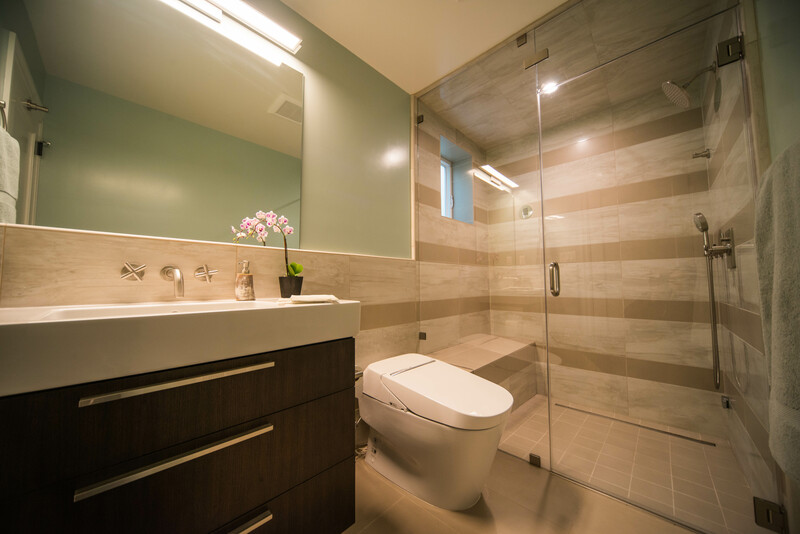 However, opting for “foolproof” can lead to rather dull experiences, both in life and in home decor. 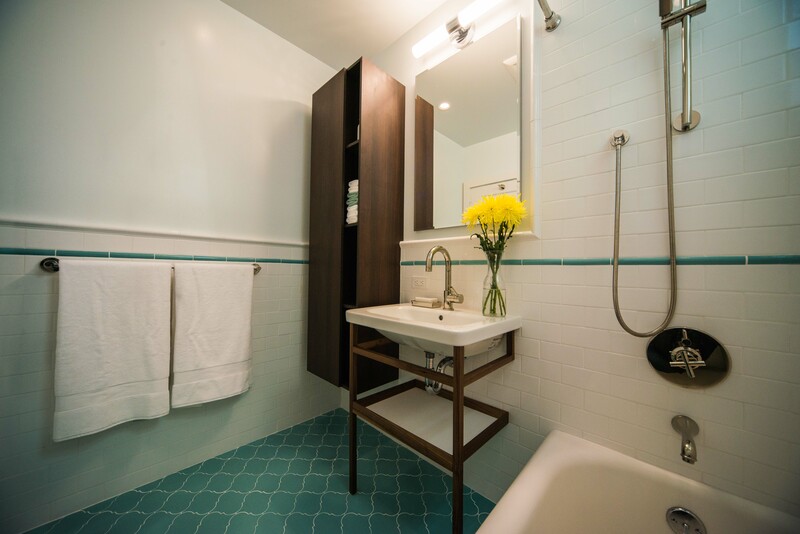 While looking back on a post I wrote several months ago, Design Trends: Saturated Paint Colors, I noticed another trend hidden among the photos. 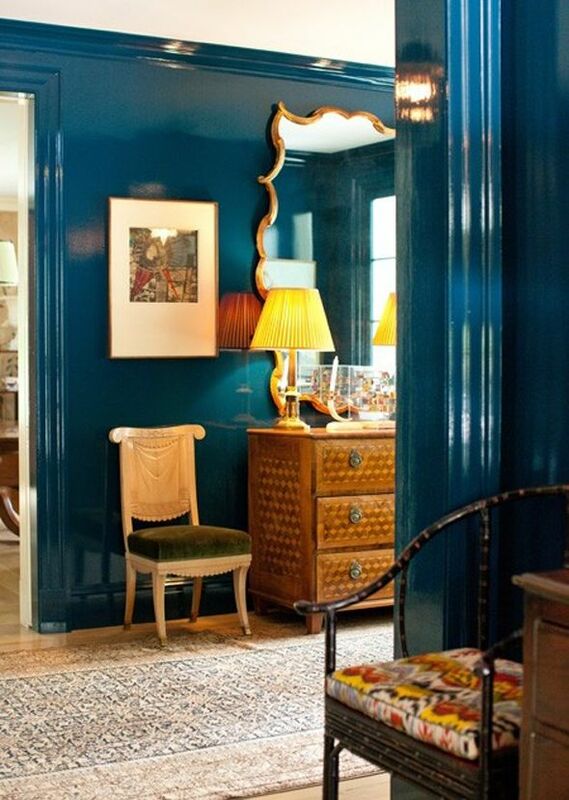 Many of those bold, beautiful paint colors were featured not only on the walls, but on the trim as well. 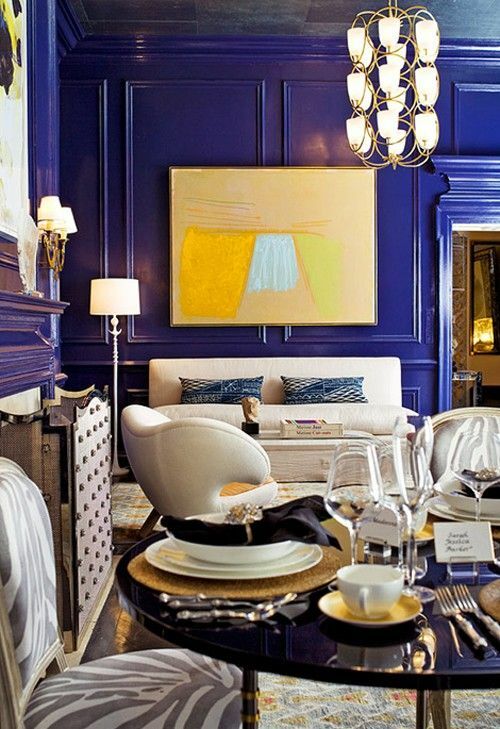 I saw that monochromatic paint schemes can breathe contemporary new life into decidedly traditional rooms. 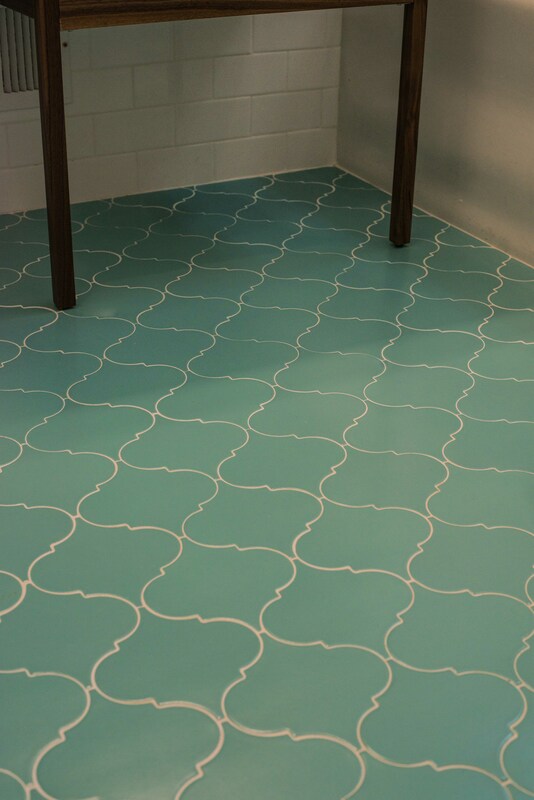 Now that the seed of matching-walls-and-trim has been planted in my mind, I notice it everywhere. Your main reason for choosing a monochromatic look should be style. 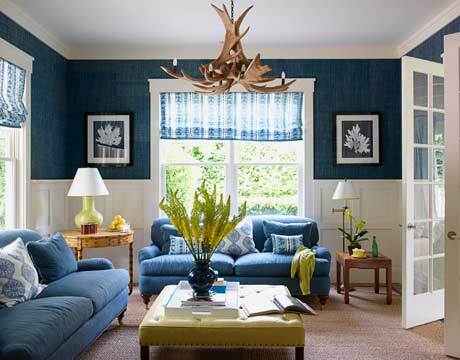 However, among the benefits of using the same paint color on the walls and trim is that your room will look taller. Contrast makes a room look smaller. 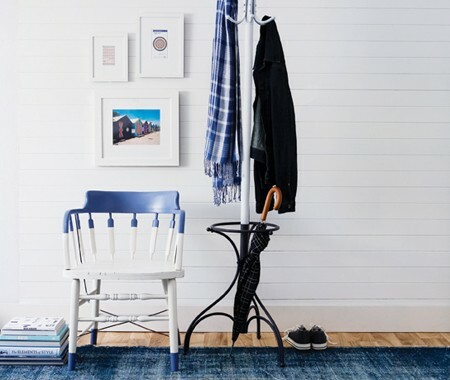 By carrying one color all the way from floor to ceiling without contrasting baseboards or moulding, you are adding inches, or even feet, to the visual wall height. Another benefit is ease of painting. If you have ever painted your own home, you know the tedious hassle of applying painter’s tape to every edge and later peeling it off again, only to find uneven edges and drips. 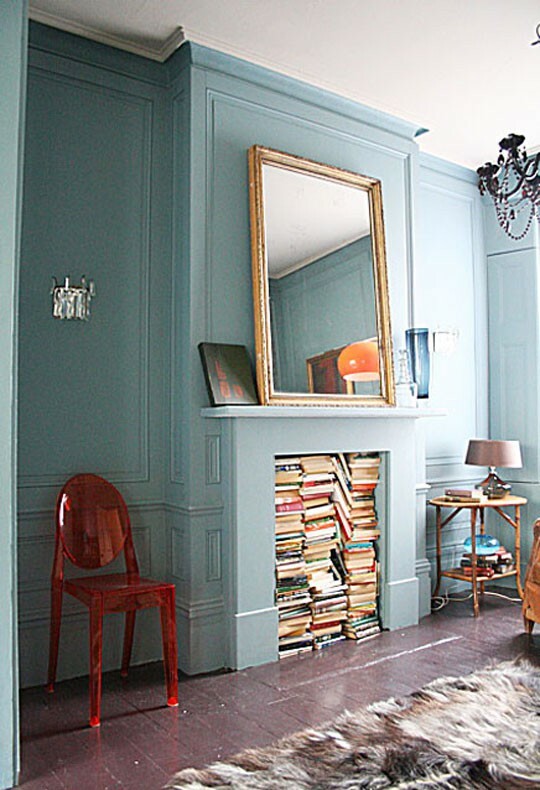 With a monochromatic look, you don’t have to worry about the borders between wall and trim. Even if you go the traditional route of using matte paint on walls and semi-gloss on the trim, overlap will blend easily into the background. 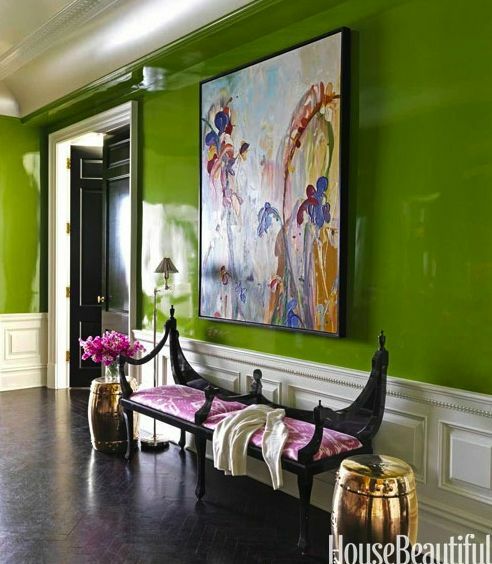 A popular embellishment to not only the monochromatic look, but to the saturated color trend in general, is to use high-gloss or lacquered paint for the entire wall. 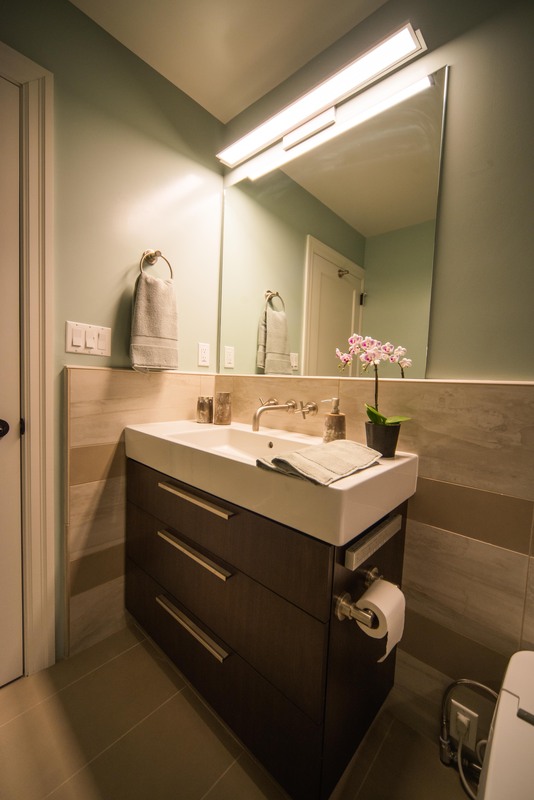 The high sheen adds instant glamour to any space. Keep in mind that high-gloss paint will show even the tiniest bump or flaw, thus requiring extensive wall prep. Application is best left to the professionals. Check with local painters to find one with lacquer experience. 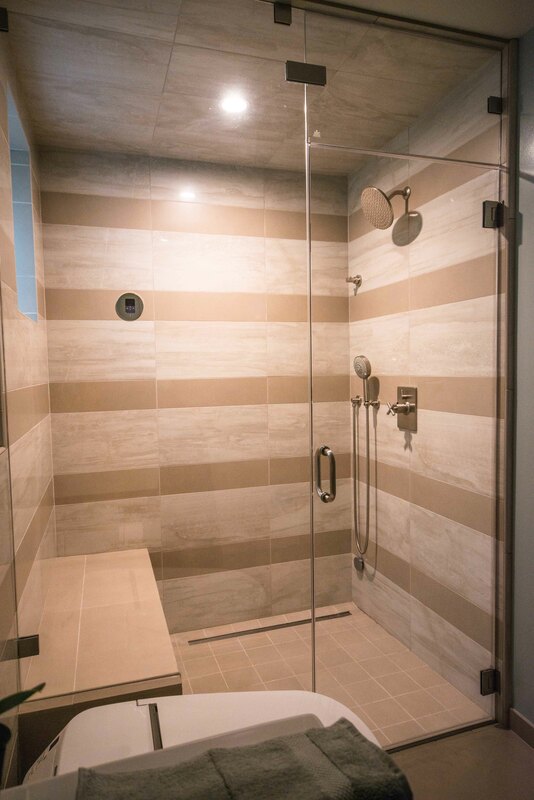 The process can be more expensive than standard painting, as as it requires special equipment (lacquer must be sprayed onto walls, creating toxic fumes). Even if you opt for the manual application of several layers of high-gloss paint to approximate the lacquer look, quality high-gloss paint can be pricey. 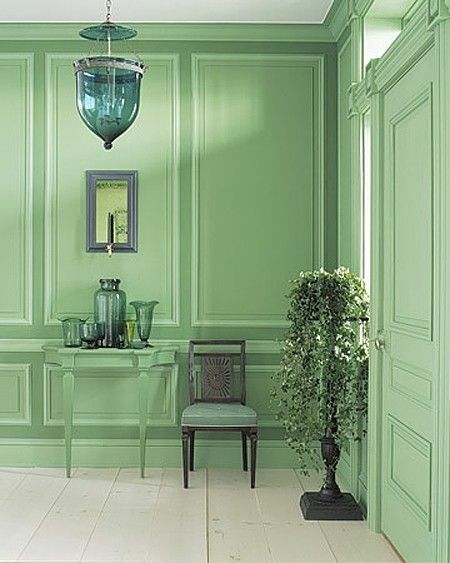 Yet another variation is to paint trim just slightly darker or lighter than the walls, so that the look remains monochromatic, but with added depth and detail. Matching walls and trim is most often seen in traditional spaces, as they are inherently more likely to have elaborate trim in the first place. 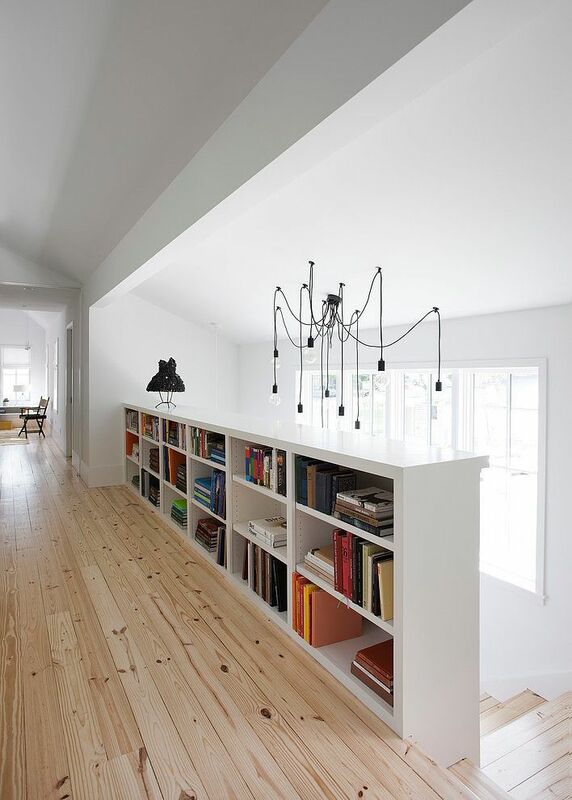 However, the look can be applied to modern spaces, too, particularly those with beams or varied ceiling heights. The modernity of the style comes from the act of extending color beyond the “expected” boundaries, not from the trim itself. 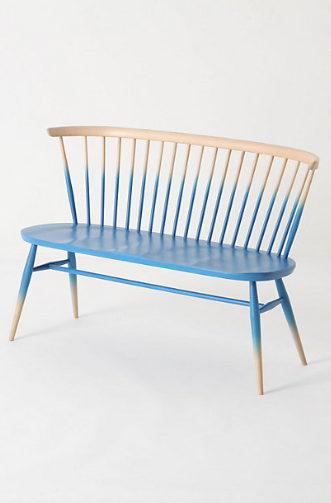 This design trend really isn’t about what’s hot right now. Rather, it’s the result of individuals thinking and decorating outside of the box to create spaces that reflect their unique style and personality. 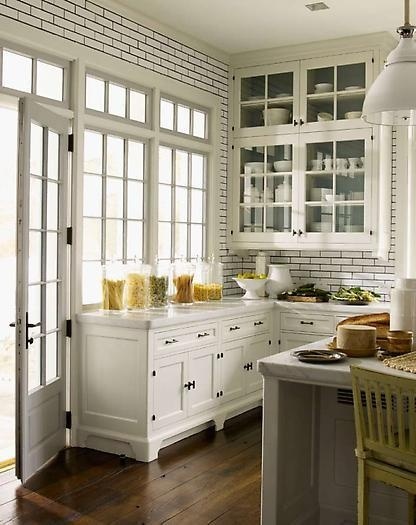 Classic white trim can look fabulously chic or charmingly simple, but it is not the only option. Don’t be afraid to experiment with color! As the saying goes, what’s old is new again. 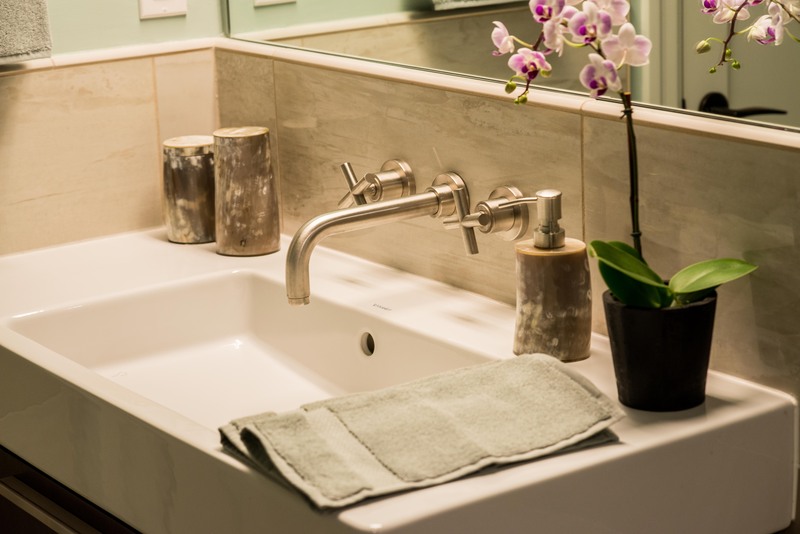 White tile with dark grout is a simple, classic look that has been around for decades, but it’s popularity has been making a steady comeback in recent years. 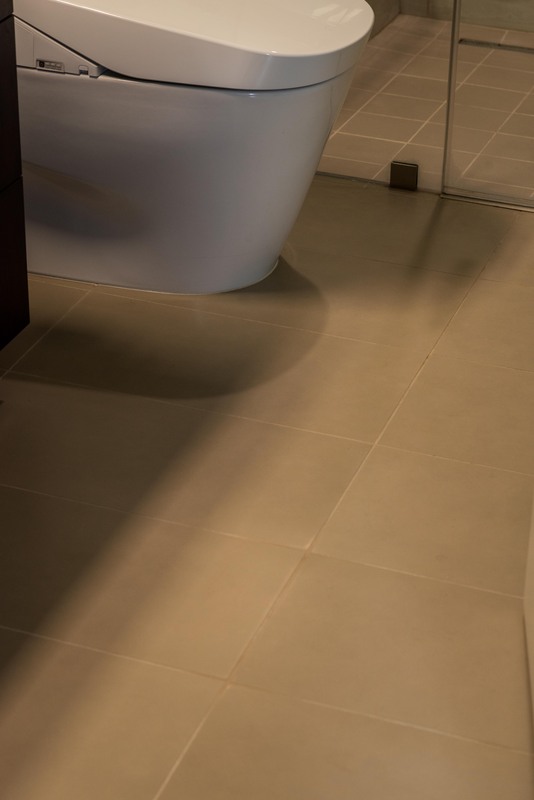 The combination of white tile and dark grout has both aesthetic and practical appeal. 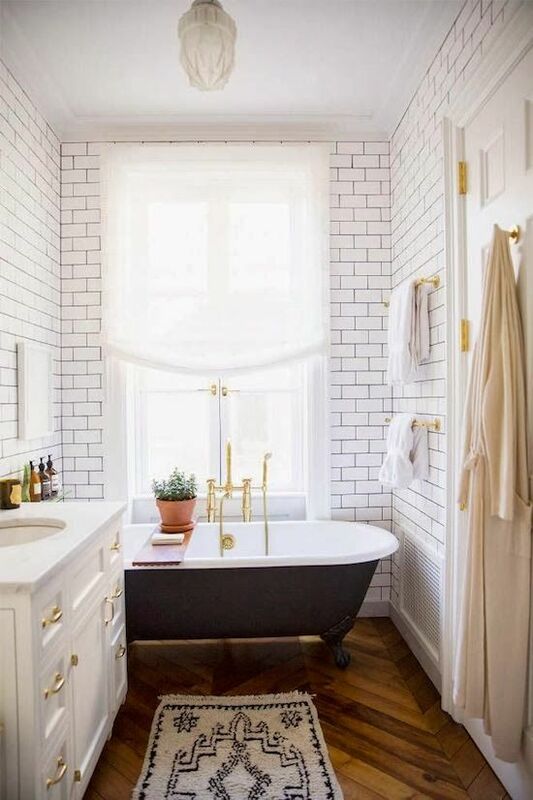 White subway tile is timelessly stylish, easy to find, and available in a range of prices from cheap to expensive (factory made versus handmade). 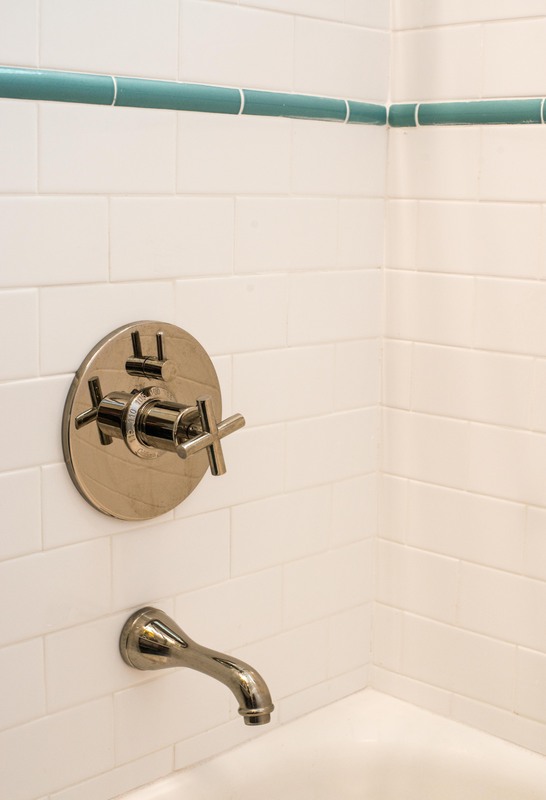 Likewise, black grout is readily available and inexpensive, but more importantly, the unexpected color contrast adds instant oomph to an otherwise basic tile layout. And the added bonus? 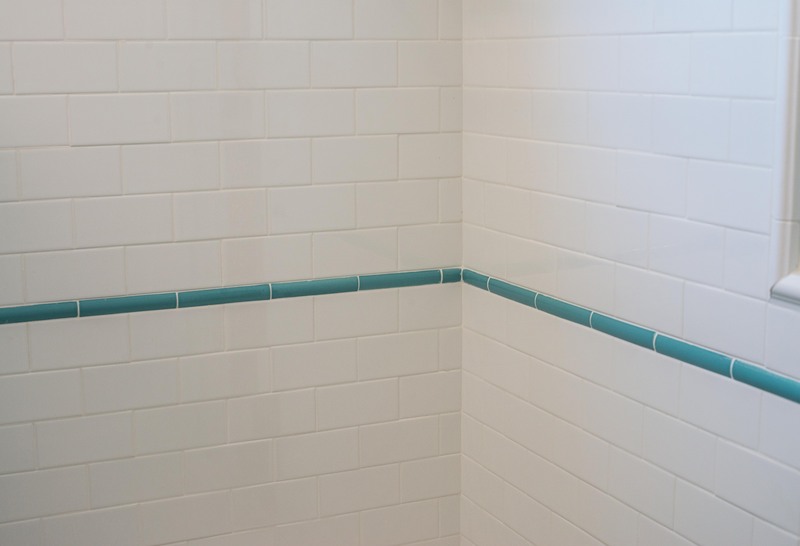 Dark grout hides unsightly stains and discoloration that appear over time in even the cleanest bathrooms and kitchens. 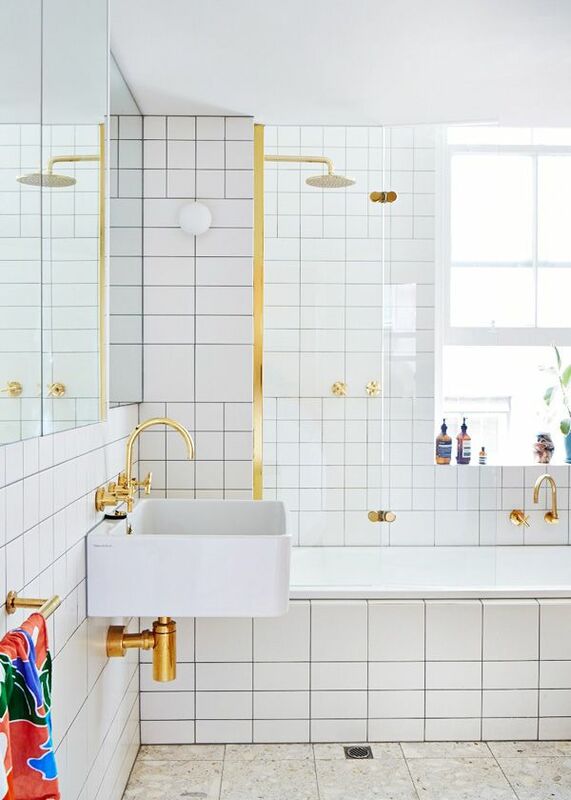 The key to this look is getting the right shade of dark grout. 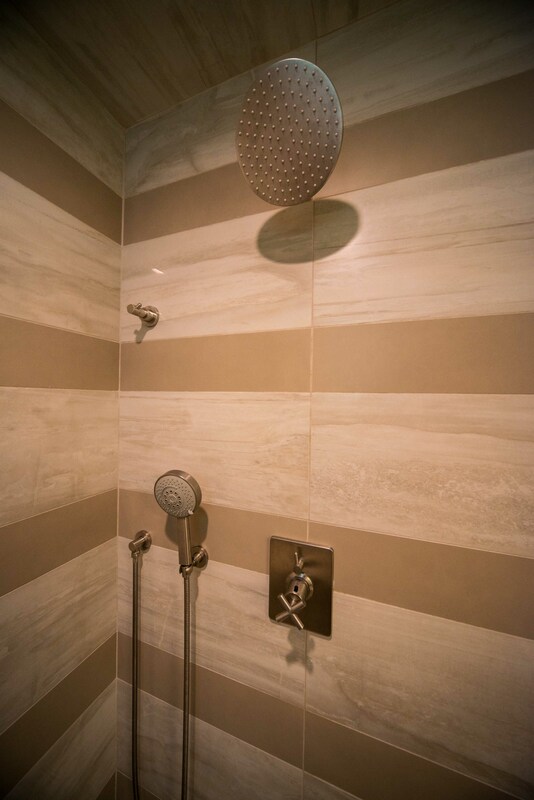 A too-light shade of gray falls short of intentional contrast, while stark black grout shocks the senses and draws too much attention away from the tiles themselves. 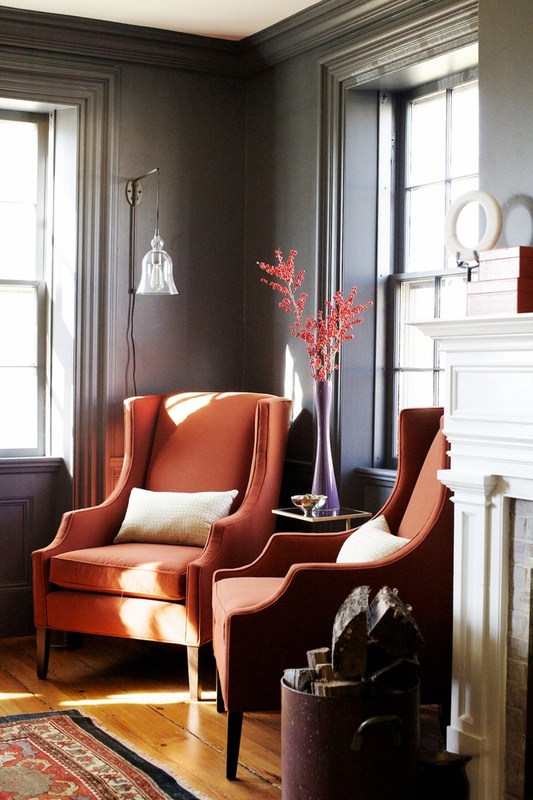 The ideal shade is a deep charcoal, which has a natural subtlety and softness despite being a dark color. 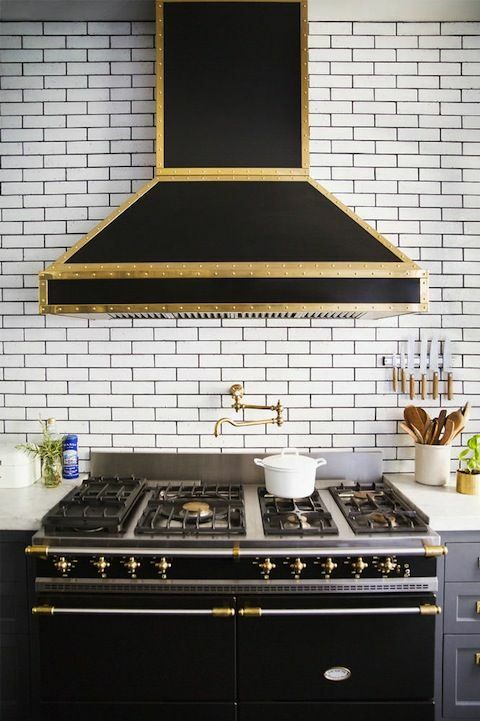 White tile and dark grout blend seamlessly into kitchens and bathrooms with classic black and white color schemes. 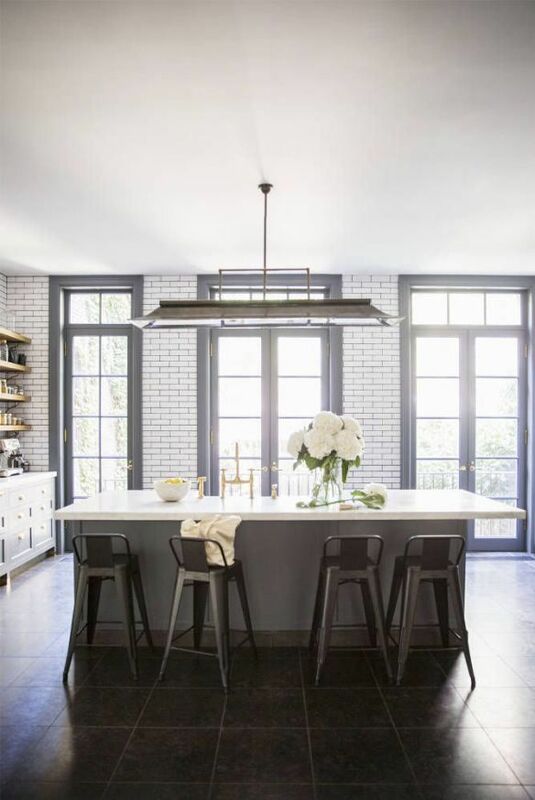 The look is enhanced even more by the added contrast of dark floors, dark window trim, and black appliances. 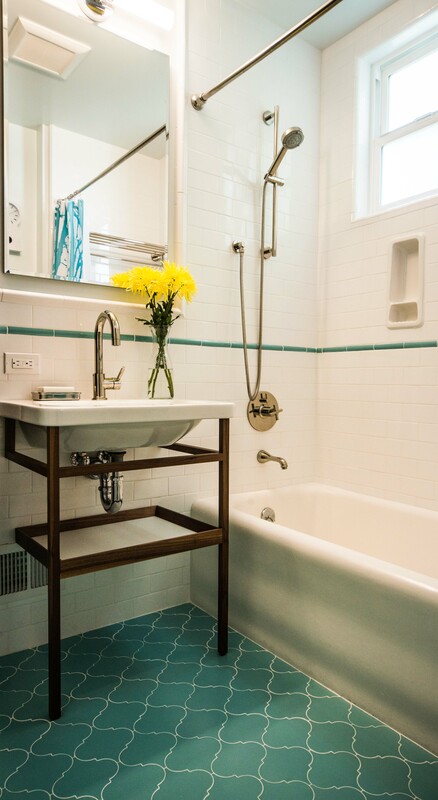 I love the way the black claw foot tub, shown below, pops in the white-and-wood bathroom! 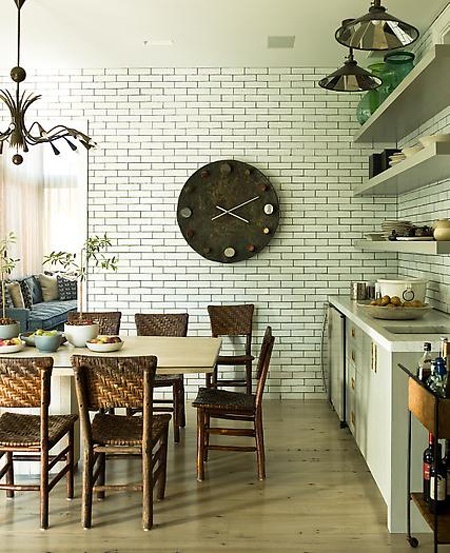 To keep the look fresh and current incorporate open shelving against the tile backdrop. 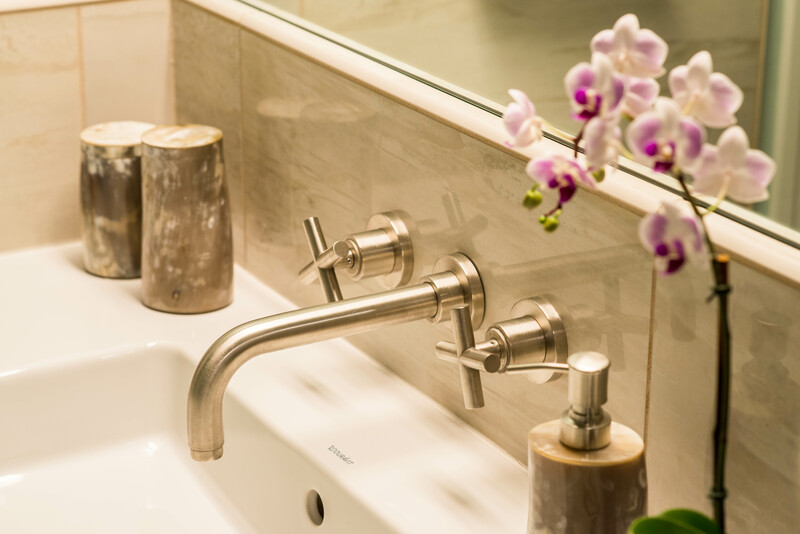 Brass hardware with traditional detailing adds a dash of glamour and shine. 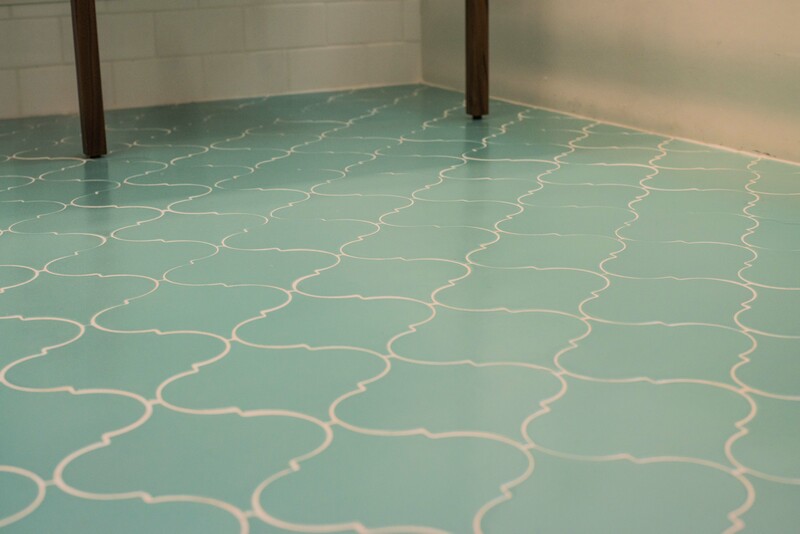 Whether your taste runs modern, rustic, industrial, bohemian, or retro, white tile with dark grout can work for you. 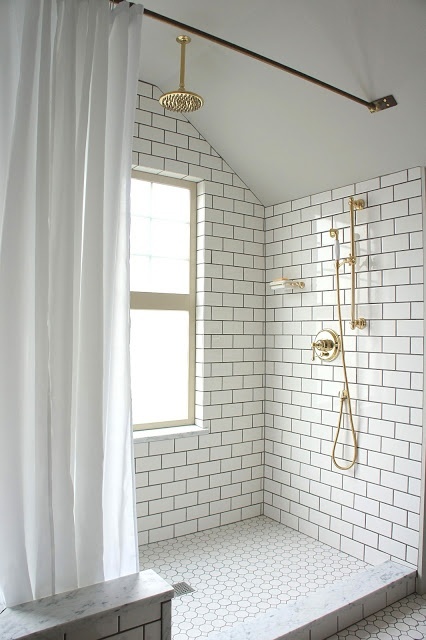 Subway tile is the standard choice, but white tile can be found in a wide variety of shapes and sizes for a more unique design. 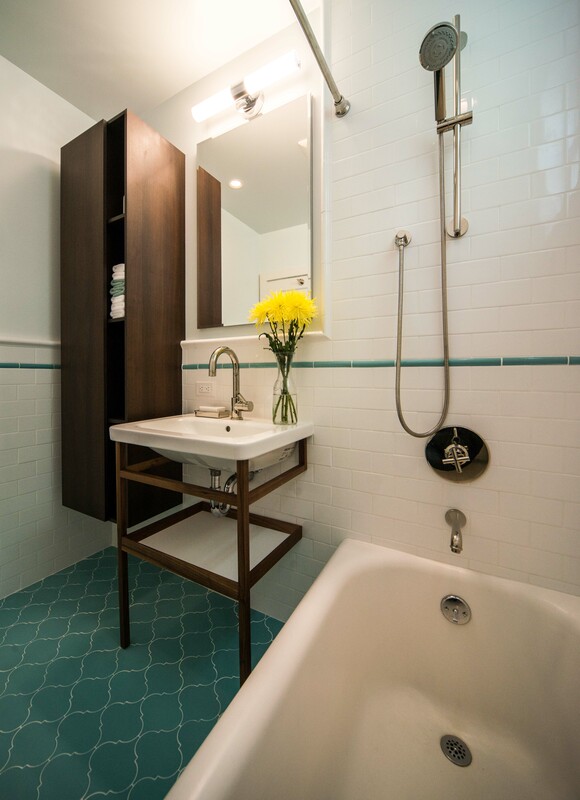 The one rule that applies to all design styles: carry the tile all the way up to the ceiling. You won’t see any wimpy partial backslashes in the photos here! 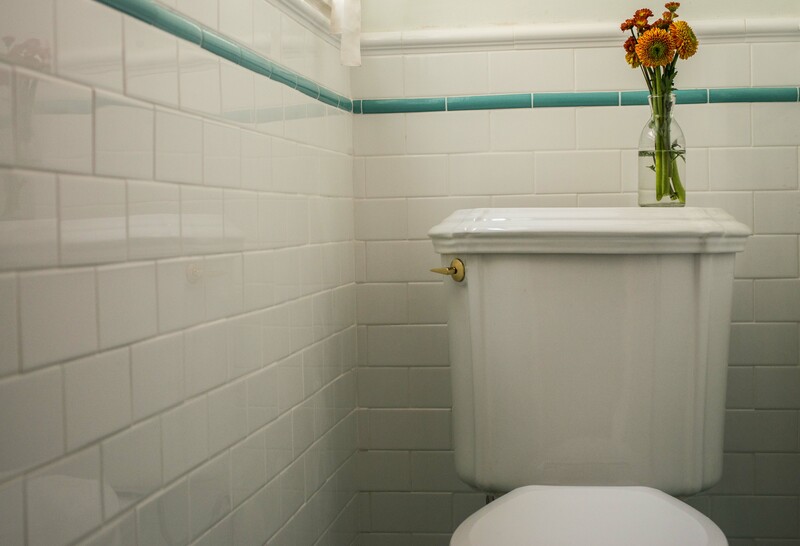 The best thing about white tile with dark grout? 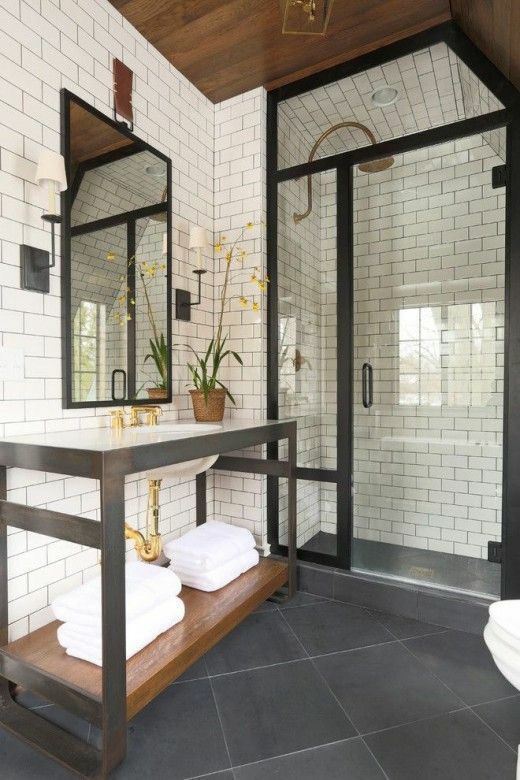 Well, the low-maintenance cleaning schedule is pretty great, but more importantly, black and white is a classic color combination that is sure to maintain it’s beauty and style even after the “trend” has passed. I’ve had an aversion to gallery walls for as long as I can remember. As a child I would see displays of school photos and stiff family portraits in bland frames lining the halls and stairways of my friends’ homes, and I simply didn’t like them. Even to my untrained 12-year-old eye, the rows of photos felt generic, monotonous and uninspired. Well, I’m happy to announce that gallery walls have come a long way. 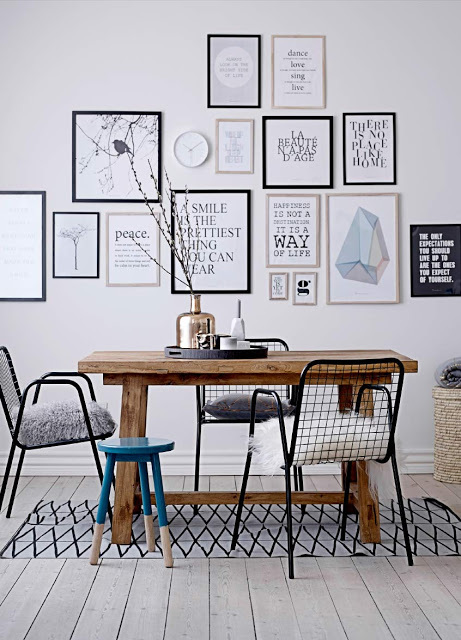 In fact, the creative and artistic gallery walls popping up all over Pinterest and in design magazines and blogs have inspired me so much that I’m working on one for my own home. 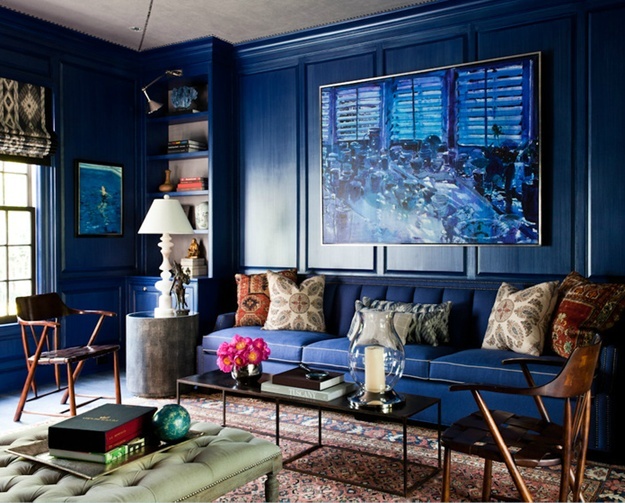 Topping my list of fabulous gallery walls are designs by two of my current interior design crushes. I absolutely love the work of Emily Henderson (above) and Angie Hranowsky (below). 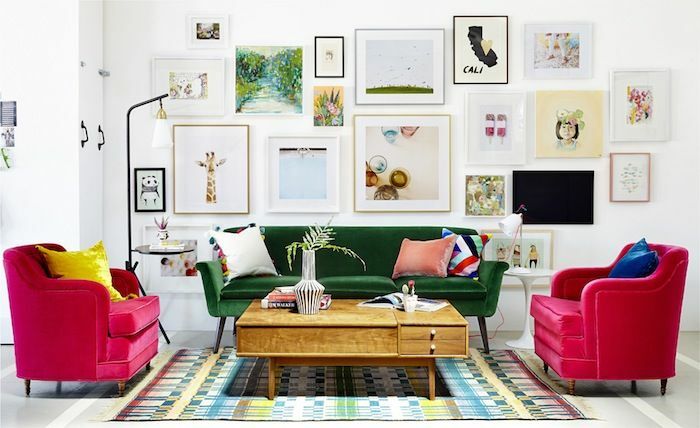 The way they have used the entire wall, the array of bright colors, the contrast of scale and uneven layout, the perfectly imperfect mix of frames – the overall effect is splendid. And of course their taste (or their client’s taste, as it may be) in art doesn’t hurt either. Of course, one need not be a regular on the contemporary art scene to have a beautiful gallery wall. Take a look at the two images below. One is polished, the other rustic, but they both share characteristics of having casually mismatched appeal, as if the homeowner gathered all the frames, photos, and artwork over the course of years and then grouped them together. 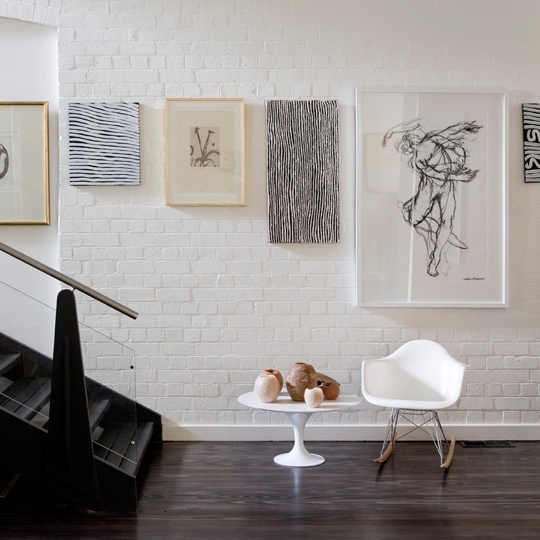 If you are thinking of creating a gallery wall in your own home, don’t be afraid to think outside the box, as with the gallery created in the entryway below. 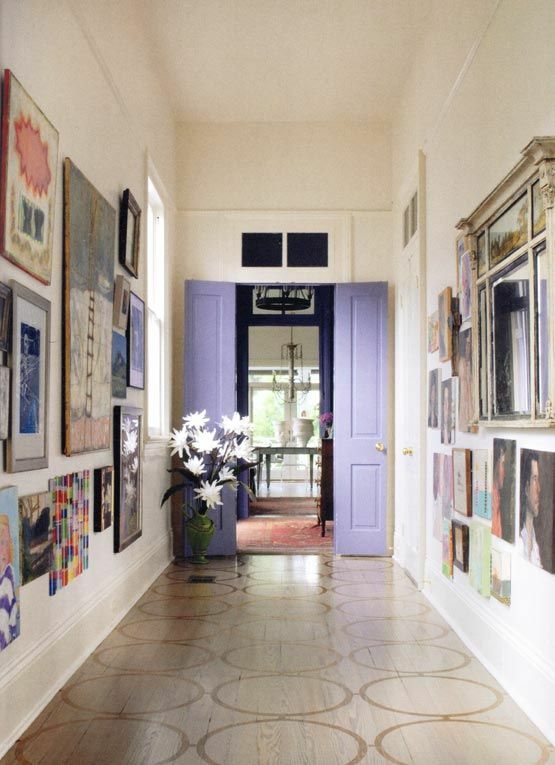 Diverse artwork covers opposing walls from floor to ceiling, the range of color enhanced by the lavender door at the end of the hall. The collection is unique and eclectic, far from match-matchy, and yet every piece of art looks as if it belongs exactly there. If the mismatched look is not for you, consider a more formal approach. A gallery is simply a collection of artwork, photos, or objects. Don’t over think it by trying to be more “eclectic” than you really are. A haphazard layout may be the trend of the day, but a series of cohesive images perfectly centered and aligned can be just as nice. I love the modern look of the linear gallery below, with the largest frame peeking up an inch or two above the rest. Despite my distaste for the stiff portrait displays of my childhood, I do love a gallery of personal photos. Family portraits, travel photos, and casual snapshots capture your history, your story, and your fondest memories. The key to using personal photos is to select images with spontaneity, energy, and emotion. If your iPhone pics capture the best moments of your life, print them out and put them in frames. Likewise, if you don’t have any art, print and frame some of your favorite quotes. Let your personality shine through. 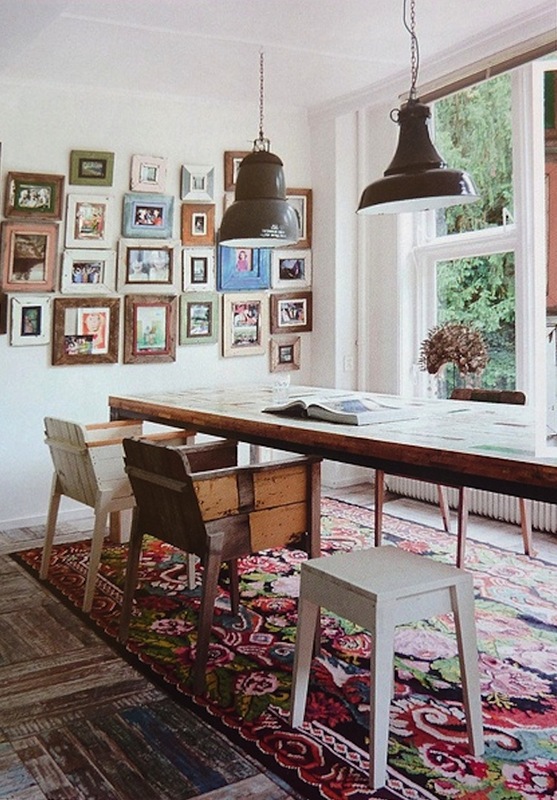 I especially like a gallery wall with a few old baby photos mixed in. They always lead to a good game of “guess who that is” when friends come to visit. 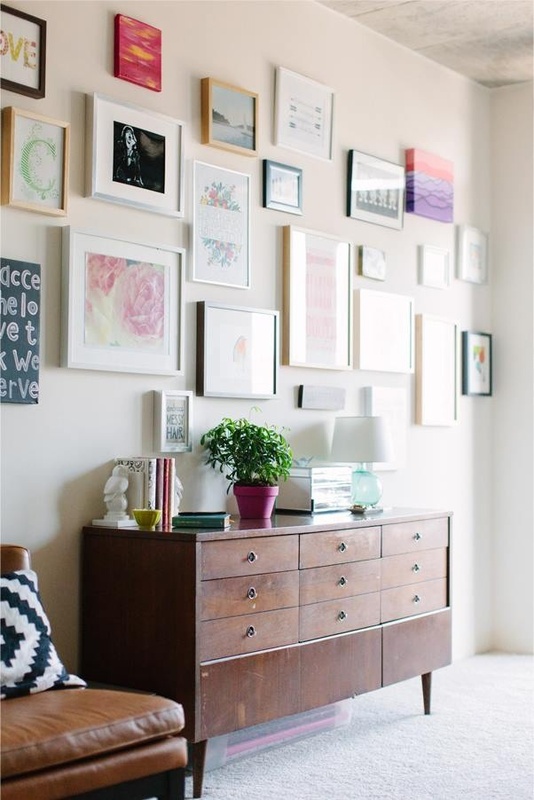 Gallery walls are such a trend right now that you can even buy prepackaged sets. A couple of options worth noting are the Gallery In a Box Frame Set (starting at $99 for an assortment of 4 matching frames that vary in size) from West Elm, and the the foolproof wall gallery sets from Red Envelope (starting around $60), which feature an assortment of frames already arranged on a ready-to-hang rod. 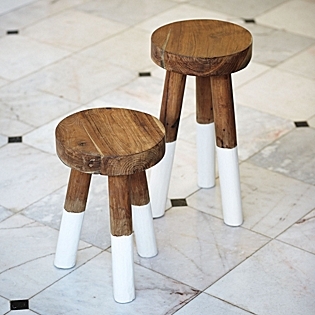 For an inexpensive DIY layout, I love the range of sizes and shapes in the Ikea Ribba series. Although a bit more expensive, Pottery Barn has a great selection of frames in luxurious neutrals like linen and gilt, as well as another Gallery in a Box option ($149 for a set of 6 frames, $199 for a set of 10). 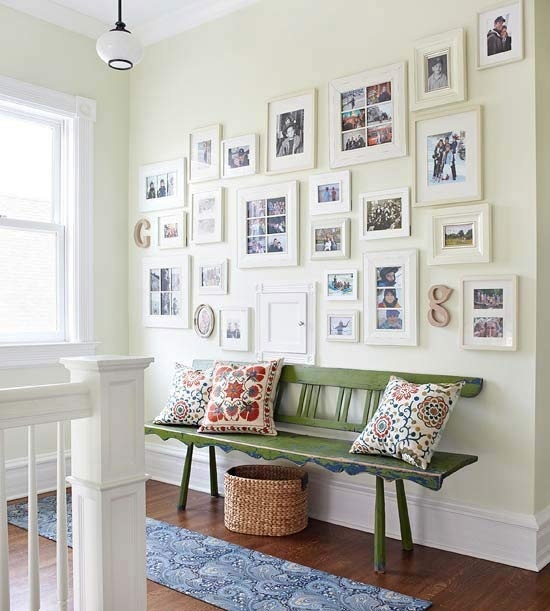 Once your images and frames are chosen, do a trial run before attempting to nail them to the wall. 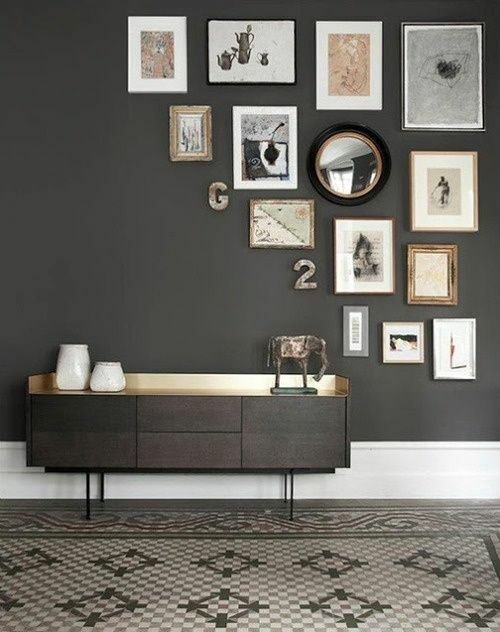 I suggest placing all of your frames on the floor in front of the wall so that you can easily rearrange the layout until it feels just right. If you are a perfectionist, you can take your planning one step further by cutting paper templates the exact sizes of each of your frames and using double sided tape to test the layout directly on the wall. As you can see from the images above, an eclectic display doesn’t require precise measurements and spacing. Have fun with the process, knowing that whether it is a collection of art, personal photos, or both, it is uniquely yours. 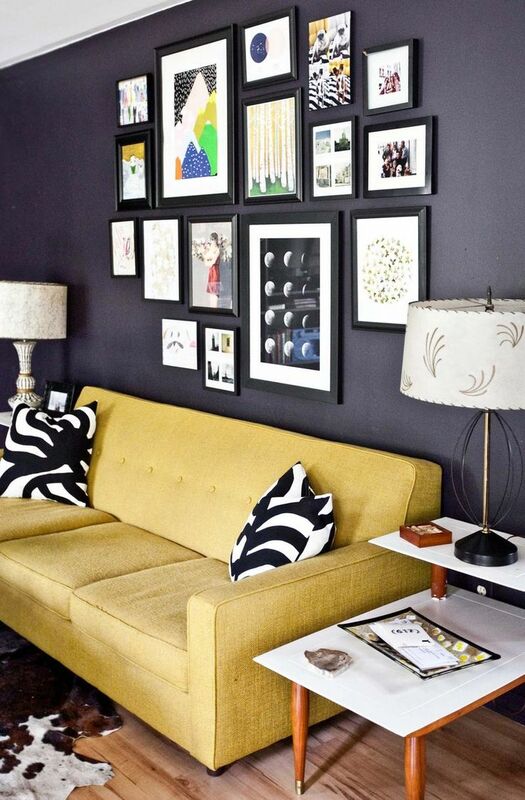 I recently noticed that more and more of my clients were expressing a desire for deep, saturated wall color. A trend tends to start small, gradually growing as the idea gains exposure, until one day you realize that it is all around you. I knew this trend had gone mainstream when I received the Crate & Barrel catalog last month. I flipped the catalog open to an image of a living room with charcoal gray walls, chartreuse furniture, and teal accents. Nothing drab there! 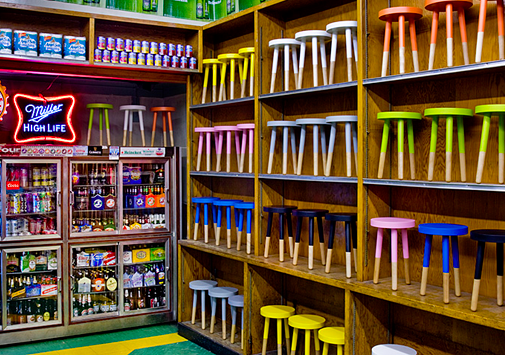 As a designer, I love to see people experimenting with color. 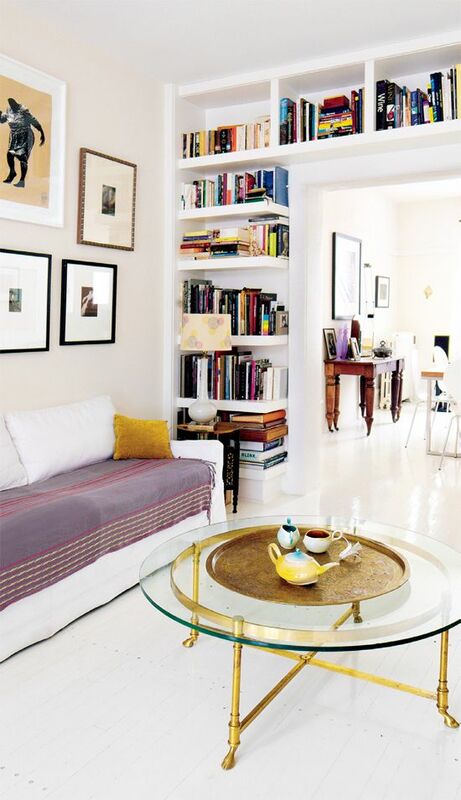 Whites and neutrals can be absolutely gorgeous, but they all too often become the safe (a.k.a. 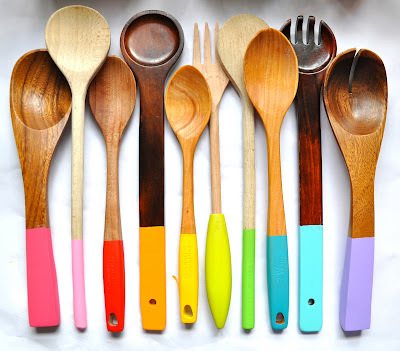 plain, boring…) choice for those who simply don’t know what else to choose. 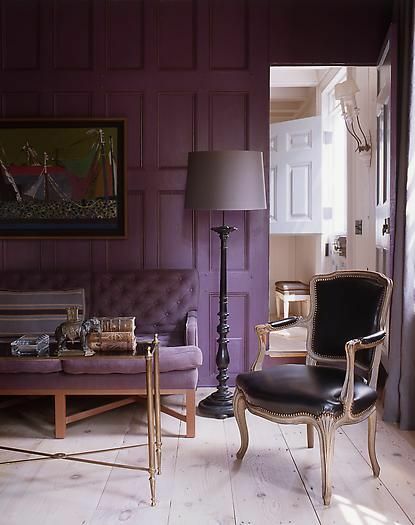 Contrary to common fears, dark paint can actually open up a space, adding depth and visual impact. 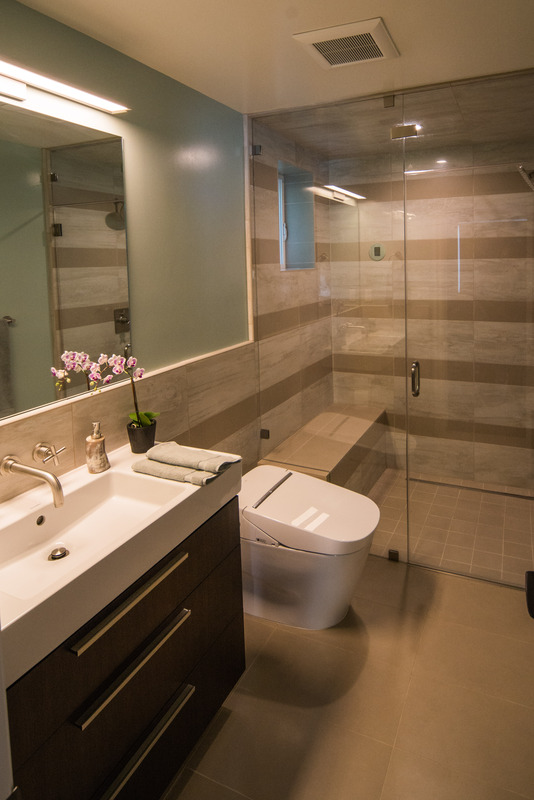 There has been a lot of buzz about gray being the “new neutral” as taupe and beige fall out of favor. Gray can be found in a wide range of shades from light to dark, but charcoal seems to be especially popular. 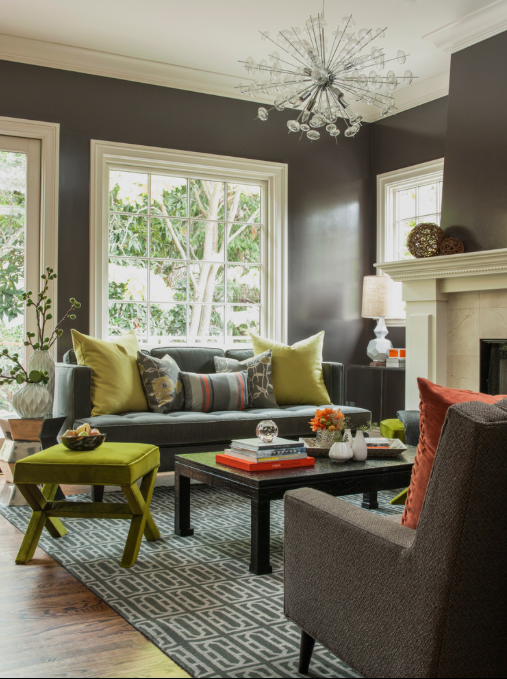 Charcoal is a sophisticated color that complements a variety of styles from modern to traditional and acts as a rich backdrop for bold pops of color, such as the spicy oranges, warm whites, and vibrant yellow-greens in the images below. 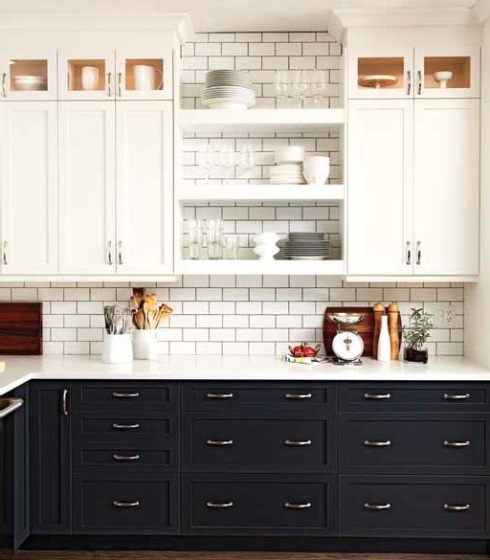 While gray is establishing itself as a modern classic, blue stands out as a popular choice for those with a more adventurous approach to home design. 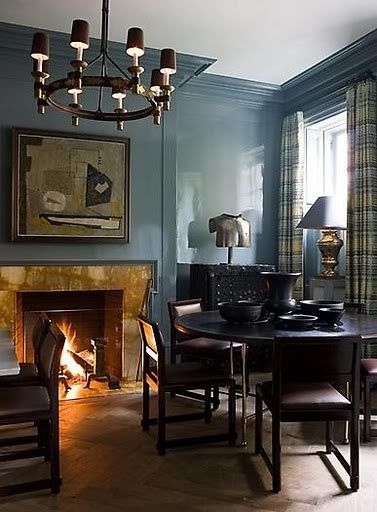 Blue has long been a staple of fashion and design, but the rich royal blues and teals arriving on the paint scene today signal a turn towards the dramatic. 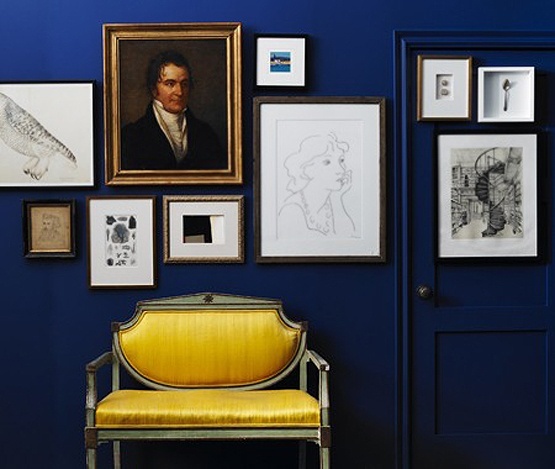 Like charcoal, saturated blues allow white and vibrant colors like mustard and coral to pop. Still unsure of whether this trend will work for you? It should be a safe bet if your room has large windows and a lot of natural light. To emphasize the bright natural light, contrast the dark paint with bright white window and door trim or wainscoting, white accessories and fixtures, and sheer window treatments. 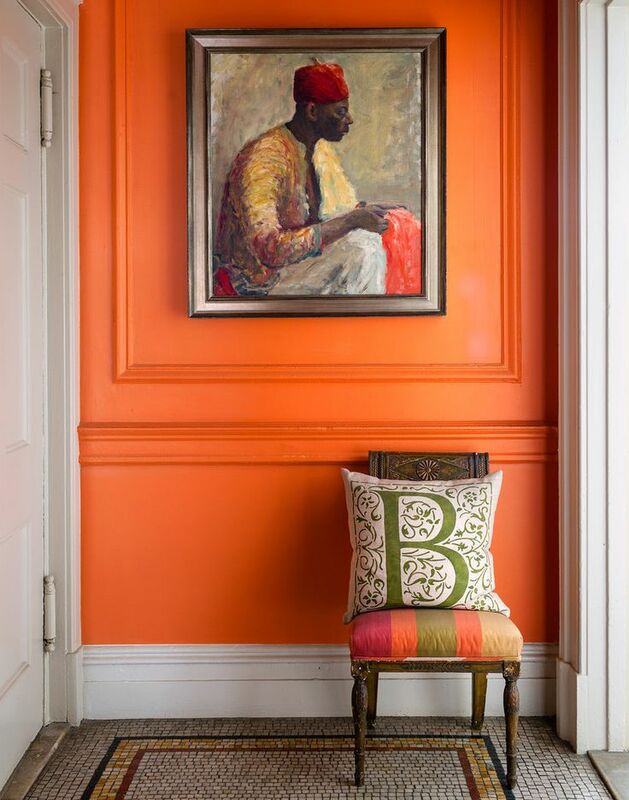 The entryway is one of the easiest places to experiment with color. 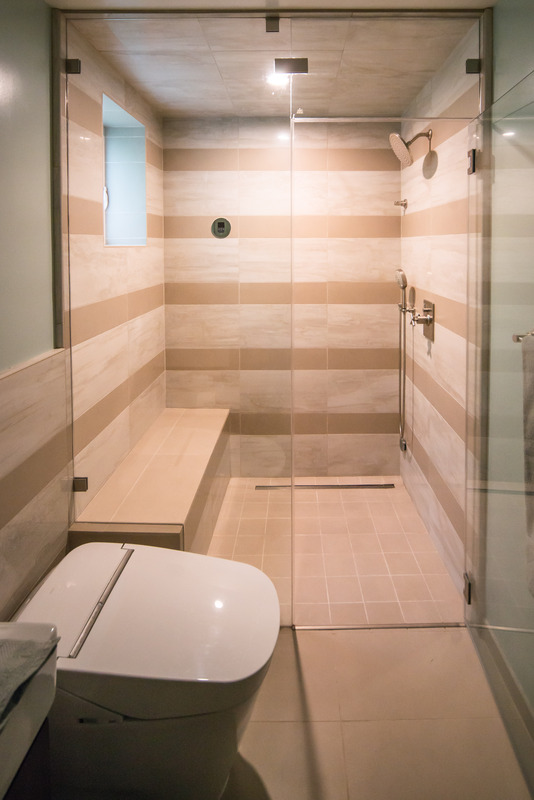 Although it literally makes the first impression for anyone entering your home, it is not an area where people linger for long periods of time and thus doesn’t have to follow the same rules as other rooms. Have fun with it. Choose a color you love, that you want to see when you leave for work every morning and when you come home every night. 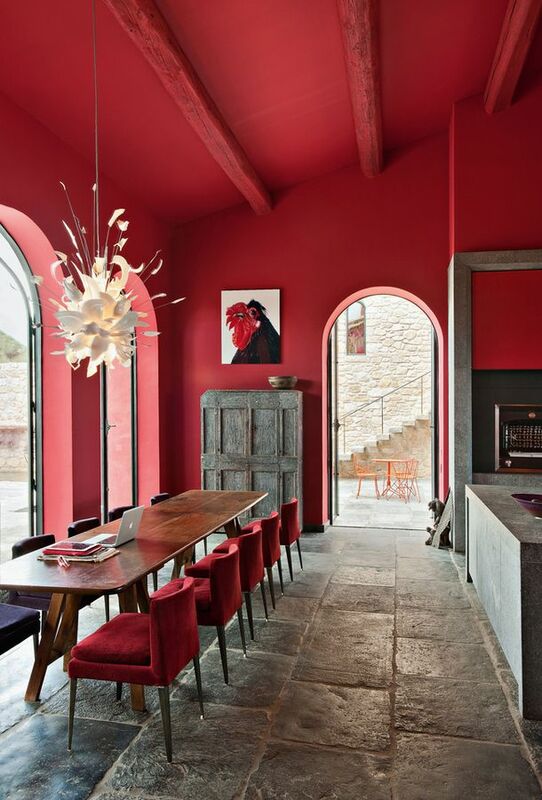 Deep, saturated color may be a growing trend, but that doesn’t mean that you have to follow anyone else’s lead. The beauty of color lies in the variety of options. 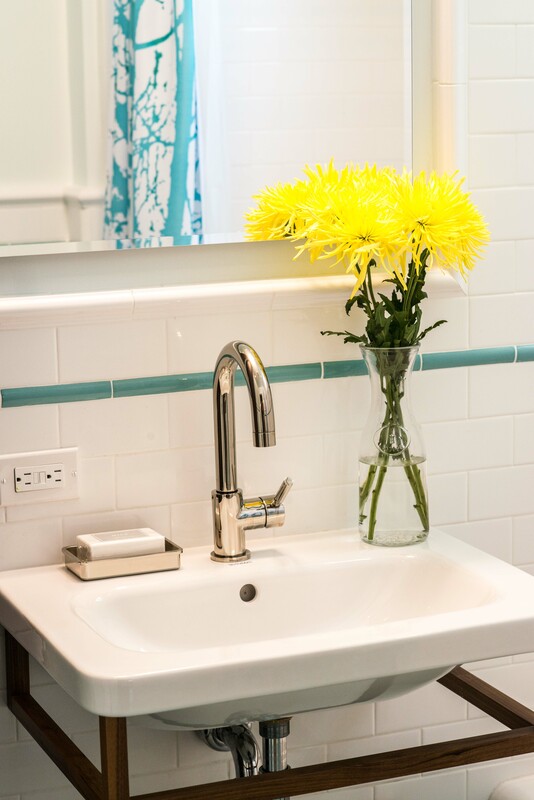 Trust your instincts and create a mood that feels fresh and new. And remember, the best thing about paint is that you can always paint over it again if you don’t love the results! If these images have enticed you, don’t be afraid to try out this technique at home. 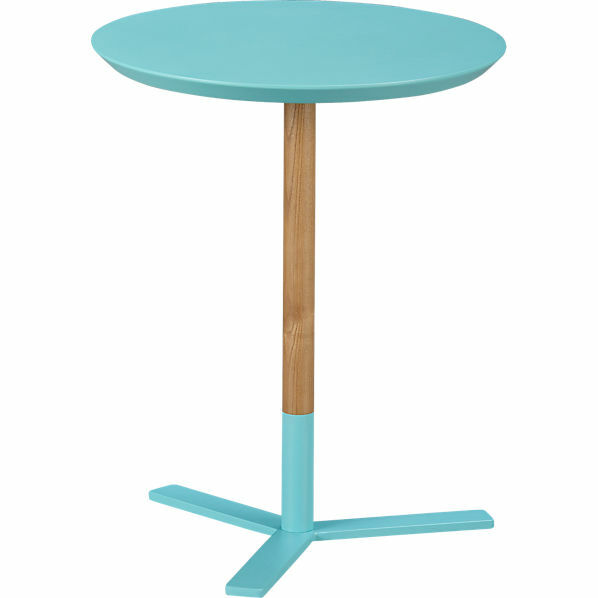 1) Simply select your item to be painted. 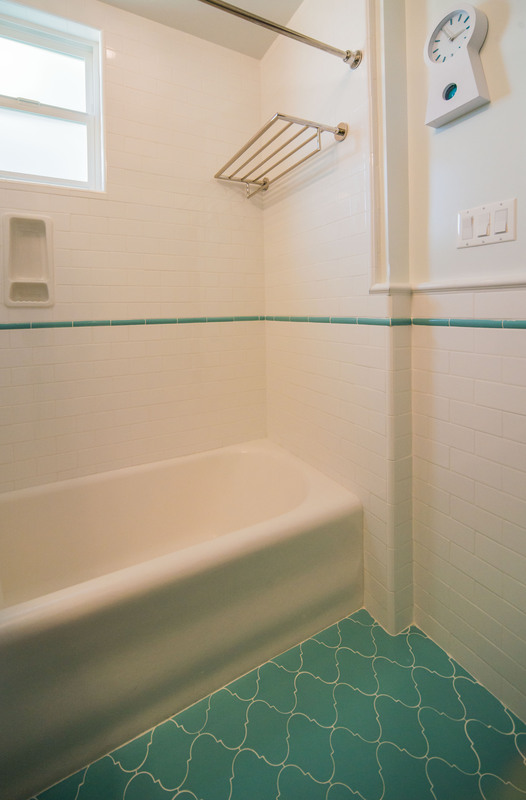 2) Sand it down to remove existing color or finish and to ensure that new paint adheres smoothly. 3) Mark the line where you want color to start (or stop) by wrapping it with painters tape (also found at your local hardware store). 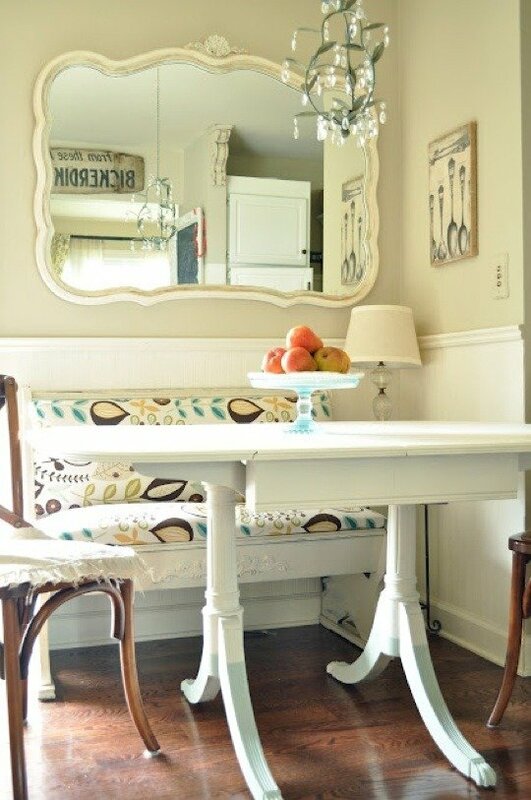 For added protection and a clean line, put a plastic bag or other such item over the rest of the furniture and tape the edges so that it won’t accidentally get splashed with color. 4) Paint it! 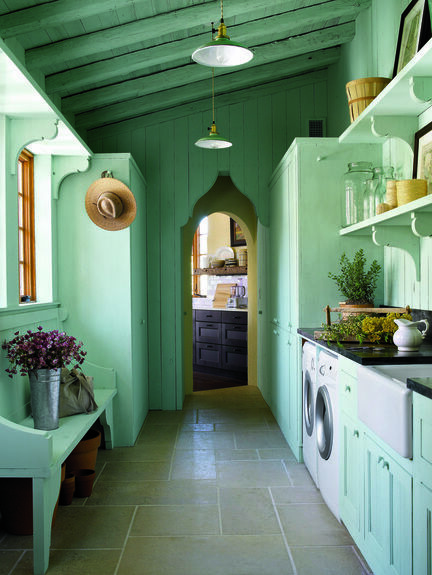 For best results, use one coat of primer and two coats of your selected color.